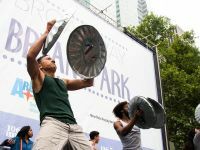 The most popular shows on and off Broadway perform their biggest hits each summer in the park. Hosted and presented by LiteFM. Be there and be part of the spectacular atmosphere. Every Thursday from July 11th to August 15th! Click on the link below for more information.